Belinda is relatively new to the Islands, having purchased her home on Macleay Island in 2017. 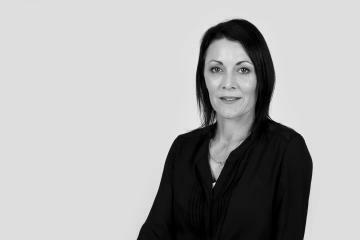 Belinda is experienced in real estate sales having worked on the mainland and brings her proven expertise to the market on our beautiful Islands. Belinda and Sally work together as a team, showing that Belinda's expertise shines through impressing all of those around her. Together they make an unbeatable sales and marketing partnership. CLOSE TO KARRAGARRA BEACH AND JETTY TERMINAL. Not only could you achieve a stunning water view from this amazing block of land but you just have a couple of minutes walk to the beautiful sandy beach and the jetty terminal. The block is large (775m2) and fully cleared. The road is sealed and this is a very sought after area of beautiful Karragarra Island. Enjoy the northerly aspect, the cooling breezes and the fabulous lifestyle that Karragarra Island has to offer. * Two/three bedroom home. * Quality inclusions and finishes. * Beautiful landscaping - quality fencing. * Huge back deck, large carport + room for boat and caravan. * Council land next door. * Easy walk to sandy beach. Three bedroom home with good water views. Timber floors and high ceilings throughout. Large lock up area under. You asked for it! We have it! A stunning position on the eastern side with sweeping, unobstructed bay views and a flat walk from the house to the waters edge! This is a sweet two bedroom, one bathroom home. The current laundry is on the exterior of the house, under the current roof line there seems to be a great possibility to extend this space out and make a further bathroom/laundry combo...subject to approvals of course. Lovely timber flooring and neutral decor throughout. Panoramic Views To Straddie With This Tidy Low Set Waterfront Home! Outstanding, panoramic sea views to North Stradbroke Island! A lovely, well kept and solid low set home in a super peaceful part of the island on the waterfront. With three great sized bedrooms plus a very roomy study, one bathroom, separate toilet and separate laundry. The size and layout of the home certainly allows value addition without the need to extend the floor area. High raked timber ceilings through out and views at nearly every window and slider door. Fully fenced block, short walk to the beach. Large living areas and great size block by the bay, spa pool! This super well maintained home is set in one of the most sought after pockets of the island, the north-eastern end with bay breezes and sea views out to North Stradbroke Island. As well as being well maintained, there a lots of added extras to keep your every day living costs down and you will find these in the breakdown of particulars below. So..on to the long list; Air conditioned master bedroom and ceiling fans throughout the rest of the home. Open plan kitchen and dining space. THREE BEDROOM HOME IN THE NORTH EAST OF THE ISLAND. This spacious family home is situated in a quiet sealed road on beautiful Macleay Island. The home has a double lock up garage which is lined and could easily be made into a rumpus room or a home theatre room. The laundry is in this area with a door leading out in to the back garden which is fully fenced and private. All the living areas of the house are upstairs and the huge lounge area leads out on to a vast covered deck which catches the south east breezes and has some water glimpses. PRESTIGIOUS ISLAND LIFESTYLE OPPORTUNITY - COMING SOON! There comes a time in your life when you deserve the best!! This luxurious home is built to exacting standards and has been well appointed. The remarkable waterfront position has easy water access and the most magnificent view's to the mainland and Coochie Mudlo Island; You can watch the ferries as they commute to North Stradbroke Island as well as observing the planes as they make their way to Brisbane airport. Upstairs, via the timber staircase are three more bedrooms. LARGE CLEAR CORNER BLOCK CLOSE TO WATER. Situated on the corner of Donald Street and Thomas Street this level 713m2 cleared block is in a great position. Just a few metres away is a water entry area, a perfect spot to launch the tinny or kyak or throw in a line. This property is also an easy walk to the jetty, shops, pub and coffee shop. The property has been Soil Tested and the great soil should allow a substantial home to be built with room for a nice garden. Large 973m2 picture perfect block surrounded by quarter and half acre blocks and right next door to the 5 star Yarrandabbi Dreaming Bed & Breakfast. Only two blocks back from the water! Fully fenced & gated with water on the doorstep. Level and clear with only a couple of picture perfect trees framing the seaview in the background. Walking distance to the local cafe, takeaways, hairdressers and soon to be opened health food store. 817m2 block in central location, moments walk to the local primary school, day care and shops. Previously soil tested for a 4 bedroom dwelling. Quiet and picturesque no through road. NEAR FLAT & CLEAR BLOCK WITHIN WALKING DISTANCE TO THE BOWLS CLUB! PERFECT POSITION - SO CLOSE TO THE BEACH! Stunning three bedroom home - a short stroll to Pat's Park. This totally renovated cottage is only metres from Perulpa Bay and there is access to the water nearby. The property is fenced and has a lock up garage and shed/workshop and is fully fenced and landscaped. There is an entry area leading in to a good sized lounge dining area which has a fan, high ceiling and timber floors. The kitchen is spacious and there is plenty of workspace and storage areas. A pleasure to market, this home should sell quickly. Absolutely stunning 3,210m2 waterfront block. East facing with views out to North Stradbroke Island, an excellent postion to watch the sun rise and the boats going past, while caputring the easterly breeze. This a very tidy block with only a few trees dotted around, plenty of clear open space to build a wonderful home in a private setting. From the newly sealed road the contour down to the water is gentle allowing ease of access. Often sought after but seldom found! An elevated 615 square metre block of land on the Northern end of the island with an easterly aspect. A short walk takes you to a choice of water entry areas where you can launch your tinny or wander along the beach. Surrounded by quality homes this block is well worth an inspection. Excellent size, excellent position! This is a very pretty, fully fenced and level block within a few minutes stroll to a sandy white beachfront that looks out towards the mainland and Coochimudlo Island. With a tidy garden shed and raised garden beds already in place. Mains water has already been connected to the block and there has been a power pole installed at the block ready for connection.